There's nothing terrible about twaddlers - they're just beginning to test their independence, influence and control. At this age, children are making huge strides, and our specially designed program provides lots of guidance along with the independence they crave. And the exclusive Tutor Time® LifeSmart™ curriculum is designed to nurture all the different ways that children can be smart - from building an architectural masterpiece to creating an interpretive dance. Twaddlers are a very busy age group. They are constantly on the go. We keep them busy through out our day by exploring in many different centers within the classroom. 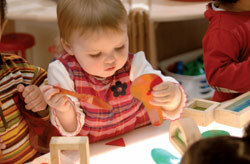 Our centers include blocks, home life, art & sensory, science, music and math. 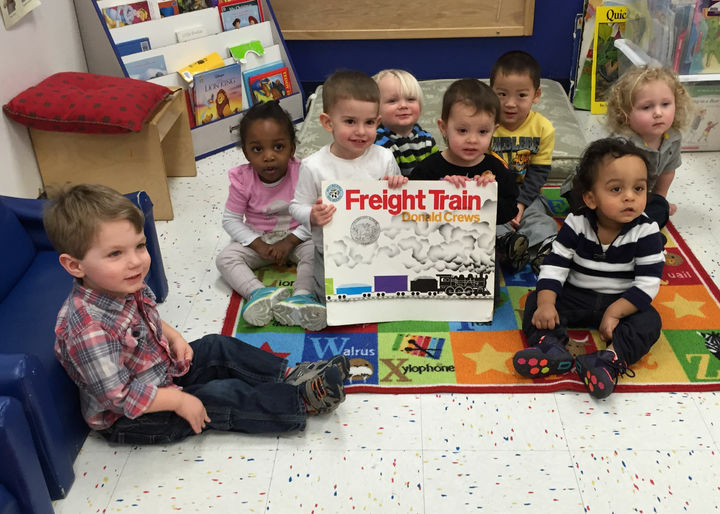 The children are introduced to early concepts of each of these centers. Our twaddlers love story time especially accompanied by felt pieces. Sign language and Spanish is always a bit hit too. Potty training is also a large focus within our Twaddler room. Our main goal within our classroom is that your children are getting all the skills they need for the future while having lots of fun. 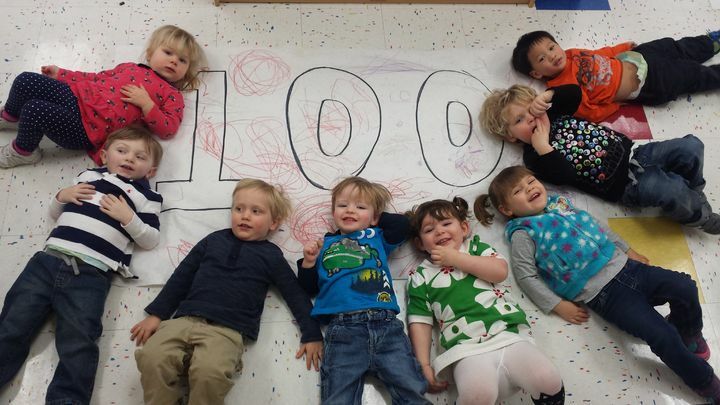 Welcome to Twaddler B. Twaddlers are just beginning to test their independence, and we encourage our Twaddlers to be as independent as possible. Each and every day we see such strides in both there verbal and social skills. Our approach to introducing new concepts one by one as a child develops results in less frustration and greater self esteem. We encourage active investigation and exploration so our Twaddlers can build their own intelligence. Our main goal is to give the children the tools they need to develop a lifelong love of discovery and learning. We hope you enjoy your time in our classroom as much as we enjoy each day.